DENVER – Storms that moved through the metro area Wednesday afternoon dropped heavy rain and small hail that flooded streets and, in some cases, made it look as though a snowstorm had moved through. The storms hit in the 3 p.m. hour, bringing lightning along with the precipitation. 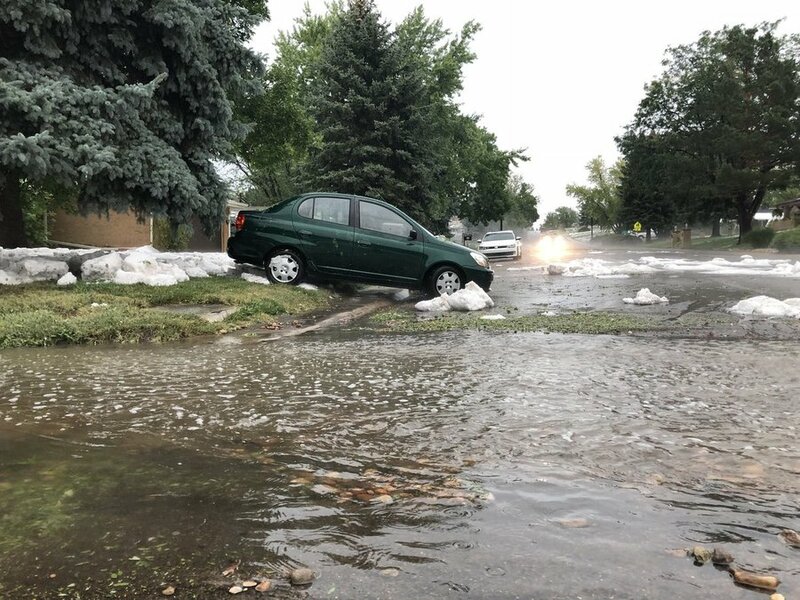 Lakewood saw among the worst flash flooding and hail, which piled up near W. 25th Ave. and Kipling just south of Crown Hill Lake. The rain and possibility of storms is expected to persist in parts of the metro area and the eastern plains through Wednesday evening. Click here for the latest forecast and here for current radar conditions . For photos of the aftermath, click here or on the image embedded below.